Polish website Optyczne recently paid a visit to Sony Japan, and had an interview with Sony managers from Sony Japan. According to the interview, Sony currently is developing longer telephoto full frame E-mount mirrorless lenses in the near future. As rumored before, Sony may release FE 135mm lens and FE 400mm lens in 2018. And Sony also said that their will never give up the production of A-mount lenses. In other words, it is unlikely Sony will develop new A-mount lenses soon, their priority is to develop new E-mount lenses. hy did not you decide to use the rotatable display in α9, such as the α99 II? YI: In case of α9 priority was given to us the size and strength of the tilt mechanism used. However, we understand the needs of consumers and perhaps we will use another mechanism in the future. Is it possible to increase the functionality of the touch screen in α9? YI: Technically possible. However, we are getting a lot of requests for new features, not just a touch screen. At the moment this is not our priority. Are you planning to use the eye-tracking option (Eye-AF) with the eye tracking sensor? YM: At the moment unfortunately, we have different priorities. Do you plan to redesign the menu in α cameras? At present it is not very functional. ST: According to user opinions, in the α99 II we have added the colors of bookmarks, and in α9 we added My Menu. For this moment we want to keep the current layout. But we listen to customer feedback and we want the menu of our cameras to be easy to use. YI: The answer to this question is difficult. We need to consider a number of factors such as the software structure that changes with the new generations of cameras.Besides, users who are accustomed to the current menu layout, the change may interfere. We will try to improve the menu in new products as possible. The α99 II has a mechanical shutter with a shortest shutter speed of 1/8000 s. The newer α9 offers only 1/4000 s. What are the reasons for this? KH: In case of α9 priority was given to us the size of the camera, and for a shutter speed of 1/8000 s a shutter of a different design is required. When designing α9, we assumed that a faster electronic shutter would be more important. Was working on α9 a dream job? YM: For me. Creating such an advanced product required many months of hard work. After the release of α9 we received a lot of positive reviews, which gave us a lot of satisfaction. The first Sony camera with E bayonet was the NEX-5 (APS-C matrix). Was that moment in the plans full-frame model? YI: On the occasion of the launch of NEX 5 we had the dream to be able to produce full frame cameras with the E mount. At that moment we had a lot of technology challenges, but the specific plan was not yet. Such a camera is a big challenge, but by choosing this bayonet, we made the right decision. After talking with the engineers we were invited to an exclusive showroom, called Sony Square.On a daily basis it remains closed for most employees and is opened for special occasions.Unfortunately, photography was not allowed, so we can not present any photos from this place, but only briefly describe what we saw. We were impressed by the large-format modular projection screen, size 9.7 by 2.7 meters (8K resolution at 2K). Its size can be changed almost arbitrarily, changing the layout and number of segments. In the next room we saw the HawkEye broadcasting system, which facilitated the coordination of multiple cameras and facilitated the operator of the transmission as well as the sports judges. Some of the devices at Sony Square were relatively early in design, Equipped with interactive projector table, touch-sensitive. It can be used in spatial visualizations, eg in architectural design. Alternatively, it will be used for educational purposes. Hiroshi Sakamoto – Senior General Manager Marketing Div. How do you think the future of bayonet A? KT: Holders of Sony A-mount hardware are loyal customers, but the E bayonet market is growing dynamically. Quite soon after the α7S launch, we saw the α7 II model, after which α7S II was introduced in less than a year. Why is the life cycle of some cameras so short? HS: We like to take on new challenges, we try to be innovative and stimulate the market, releasing new cameras as often as possible. On the other hand we still produce cameras presented a few years ago, eg α6000 or RX100. Are you going to enter the market with a medium format camera? HS: We produce medium format matrices for other companies, but we are not currently planning to create such a system. What are the plans for introducing new professional lenses in E? Long telephoto lenses are missing. YN: There are a lot of lenses that we have to produce. We need professional lenses not only for sports photography, but also for portrait or landscape photography. At first we focused on small models such as 55 mm f / 1.8. After the launch of the α7R II, there are many requests for zoom-f / 2.8, hence the launches of 16-35, 24-70 and 70-200 G Master. 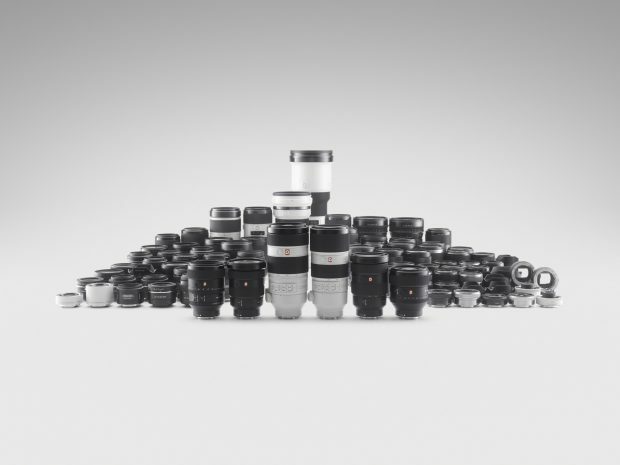 In turn, after launching α9, customers expect longer telephoto lenses and we intend to develop our offer step by step. What is not so easy because the user expectations are very high. How will the photo look like for the next 10, 20 years? KT: Photography is one of the areas of imaging. Another is filming. Currently exploring new areas, such as virtual reality (VR) or drones. Many things can happen, but in our opinion photography is very important. We will try to produce cameras that allow people to take pictures that affect human emotions. Is it possible to produce more spectacular lenses, like Canon 85mm f / 1.2? YN: According to the wishes of our customers, we are currently focusing on high quality products for professionals. We also think of more affordable lenses, eg 85 mm f / 1.8. Can we count on more frequent firmware updates introducing new features? KT: We recently released a new firmware for α9. We think updates are very important to our customers. It’s not just software, but hardware. In our opinion, the camera that comes on the market should be refined and we are trying to get it. Do we have a chance to see the encoding feature of the Sony cameras? KT: We are aware that this function is important for reporters working in dangerous places as well as for police and army. For most users, however, there are complications. We are currently not planning to create a proper photo format for this feature. Among the patent applications from Sony we found one described layered matrix, similar to Sigma Foveon. Do we have a chance to see the camera using this sensor? KT: We are working on many different projects, including new matrix types. At present we do not plan to use them in new models of cameras. Is there a plan to create a G Master lens line for APS-C cameras? 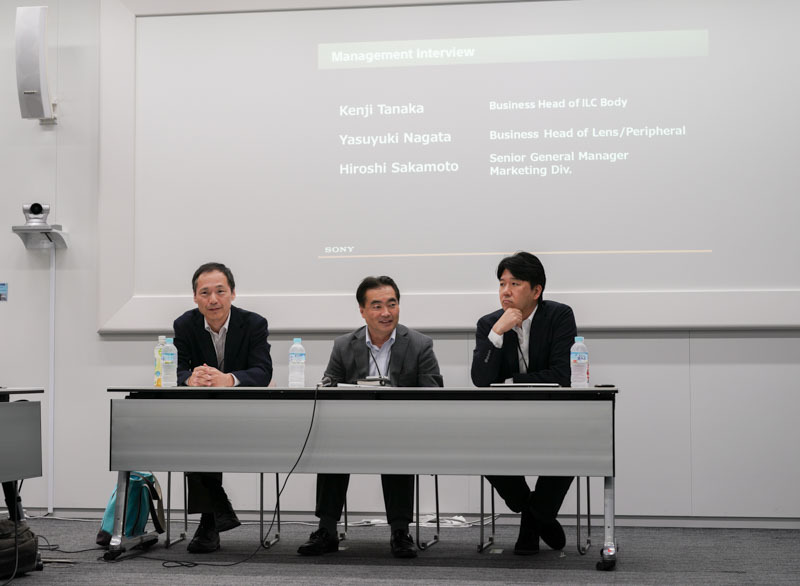 YN: If we produce high-end APS-C lenses, maybe we will include them in the G Master series. However, this line was designed for full-frame cameras. Next Next post: Where are Sony Cameras Manufactured ?